1) Normal Skin :- This is common type of skin and is generally non sensitive to simple changes. 1. Apply your favorite moisturizer on the skin before applying other things. Applying moisturizer under the makeup ensure that the skin does not dry off in winters or dry environment and retain the moisture inside. 2. Select the foundation you want to apply on your skin. 3. Have some pressed powder on your hand in case of humid climate. 2) Dry Skin :- Reason behind the dry skin is lack of oil due to decreasing oil glands in the skin. This type of skin may be sensitive to cosmetics or skin products. 1. Take out your favorite moisturizer and moisturize your skin properly. Apply over every corner on the face so that entire face get moisturized. 2. Choose a two in one foundation that moisturizes as well as makes your skin smooth. 3. For dry skin type, avoid the skin care products that contains alcohol in them. 3) Oily Skin :- Extra oil is accumulated on the skin due to overactive oil glands in the skin. This makes face appear uneven and shiny. 1. Clean your skin properly and then tone it with a gentle toner. 2. Never use oil based cosmetics and skin care products for this skin type. Prefer water based cosmetics or formulas in the makeup. 3. People with oily skin type should use powder as it can help to hide and control the oiliness of the skin for good time. 4) Combination Skin Type :- This skin type shows the combination of oily, dry and normal skin. Oily skin can the skin of forehead and nose and rest left may be dry and normal. 1. It is really difficult to select the right foundation that suits this type of skin. So, you you should experiment several type of foundation until you find the right one. 2. Select a powder that helps you to manage the extra oil in the oily skin areas OT T- zone on the face. If you want glowing skin for an occasion, shimmer makeup can do it for you. You can use it on your face as well as your body depending on the requirement. If you getting out on an occasion, select your your outfit or cloths that your are going to wear. Then select the makeup shades that suits you best along with your cloths. Beauty experts says that shimmer makeup will look best if you wear in the evening time. 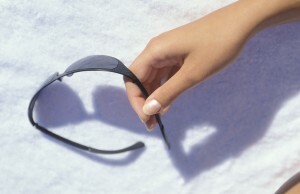 Your complexion plays very important role in selecting the shades. If you have fair or wheatish complexion, then bronze is more likely to suit your personality. People with medium complexions can use silver one that will suit them good. Shimmer comes in three forms :- Liquid, powder and creams. Blending the powder shimmer with cream shimmer or liquid one before applying is best practice as it gets properly blended with the skin this way. You should apply shimmer makeup on the areas like corners of eyebrows, cheeks, forehead, brow bone, chin etc which are the highlights of the face. This will enhance the glow and will make you look gorgeous. If you decide to use liquid shimmer on the face, then you should make it blend properly with the skin by applying it using fingertip. Applying little powder shimmer using the brush will make it look more natural. In case, you are thinking of having eye shadow on the eyes, then apply it after the shimmer makeup properly gets blended with the skin. These face makeup tips for women can help you look beautiful for any occasion.